It may seem odd to include a hand tool which Stanley only retired in 2007 and of which there are still several other makes available today. 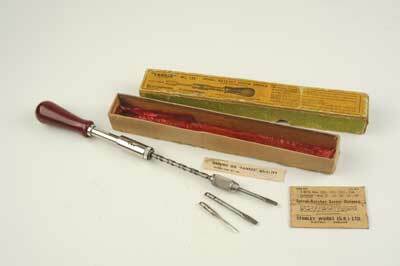 However, this ubiquitous piece of kit first appeared in 1898 produced by North Brothers Mfg, Co. Philadelphia, the company was then only sold to Stanley Tools in 1946. With Stanley's worldwide appeal and marketing power it was inevitable that this tool would be synonymous with the Stanley 'Yankee' brand and appear in every tradesman's toolkit only to be supplanted late in the day by the now universal cordless drill. 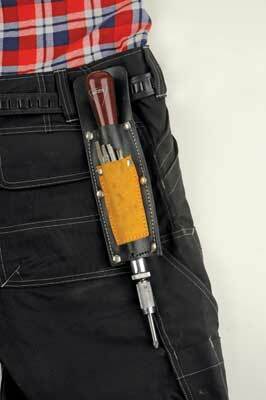 I can remember back in the 1980s seeing one of these in every toolbag on site and using several myself. The earliest versions seem to have had an external spring at the front but otherwise the basic mechanism has been largely unchanged in 114 years - not a bad innings! So what can it do? 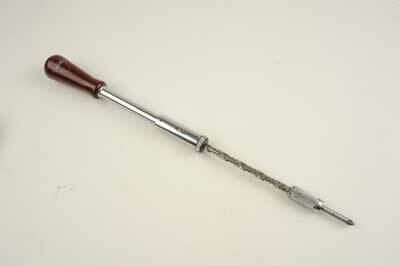 The clue is in the name; it is a screwdriver with a difference. The long driver bits lock into the chuck by pulling back the milled sleeve at the front and a selector button on the casing behind allows a forward or reverse ratchet action with a fixed middle position. The ratchet action allows quick driving in or out; however, the real trick is found by turning the milled collar behind the chuck. Instantly the criss-cross machined shaft springs out and you can then drive screws in or out under strong spring pressure. This pump action takes away a lot of effort and speeds up screwdriving tremendously. 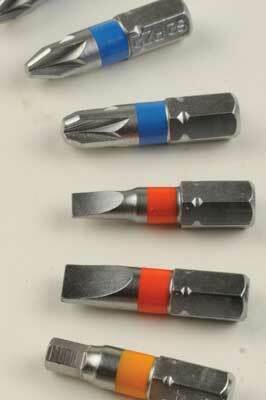 Not only that, you can fit shell-type drill bits to drill pilot holes with equal facility. So why aren't more people using them? Well they are old technology, the cordless drill has surpassed it developmentally. The old driver bits are slot head or Philips pattern and not many of those screws still get used. The Yankee's ability to accidentally puncture plasterboard or run a large scrape across a highly finished surface is also legendary, and yet, and yet - it is lighter than a cordless drill, it doesn't need batteries and its action is very fluid if it is oiled regularly. What's more, you can buy adaptors to take modern hex shank bits such as Pozi, Torx and all the other exotic modern head types designed for electric driving and it will still drill to boot! You can find these engineering marvels on eBay dare I say it, as well as the modern adaptors and bits. Beware, however, of certain key things - occasionally one will have its spring removed, a no-no. There are both vintage and modern types, ones with wooden handles and the more modern resin type which are more comfortable as no paint is there to flake off. There are numerous variants from the mighty 131A and 131B down to the Handyman with its bit storage handle and a series of smaller ratchet-only screwdrivers for lesser tasks. 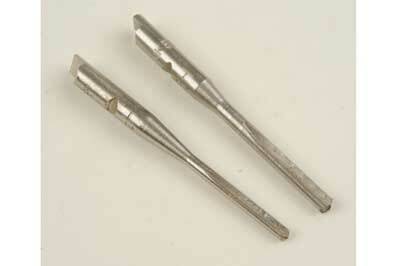 Beware also that different Yankee drivers take different diameter bits, so choose the matching sizes. If you are interested in acquiring and using a pump screwdriver do some research online so you only buy what you really need, and don't spend loads of money - unless you are a serious collector.